Tesla in Townsville – Bohle Plains’ 4MW solar battery. Tesla in Townsville – Solar giant Tesla will install a 4MW/8MWh solar battery in Townsville, North Queensland to help manage renewable energy within the community. The battery is expected to be operational by the end of 2019. A community-scale battery will be installed in Townsville to help store excess energy, provide backup power to the community, and assist in providing support to Ergon’s virtual power plant, which draws electricity or reduces load from customers Queensland wide. This helps shore up any supply issues to the National Energy Market (NEM), especially during peak times such as during a heatwave. Publicly owned Yurika manage the plant and it’ll be fascinating to see some statistics as to how this Tesla Powerpack helps QLD – with the South Australian Tesla Battery at the Hornsdale Power Reserve saving $25m in its first year of operation, we expect the result to be similarly impressive. “This is a small but significant addition to Queensland’s publicly-owned electricity system, a system which is delivering cheaper prices on average compared to other mainland states in the National Energy Market,” said Acting Energy Minister Mark Furner. “With around 20,000 residential rooftop solar systems in Townsville, battery storage technology will help ensure power quality and reliability in the local network.” he continued in quotes repeated in Clean Technica. Design work has already started on the battery and Tesla in Townsville is closer than you may think – the battery is scheduled to be fully operational in late 2019. Given that Townsville and its surrounding areas have seen a significant amount of investment in solar over the past few years, it’s going to be fantastic to have this battery to help stabilise the grid and provide cheaper power. Tesla Battery in SA Earns $1m in a few days. 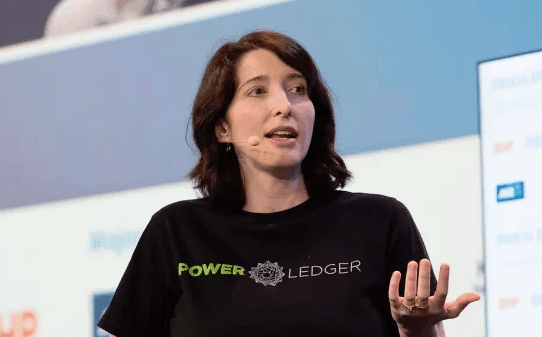 ‘Advocates’ for the Australian blockchain-based electricity trading company Power Ledger have been accused of spruiking the service through the ‘Power Ledger Community Advocate’ program. “Some of our bounty group were professional bounty hunters chasing tokens because it’s what they do,” Power Ledger said in a blog post quoted on Medium. “This year was really about us deploying our products in multiple locations around the world so we could see where was the biggest opportunity for us to scale and commercialise our technology,” Dr Green said. Power Ledger’s price has been in decline since its $1.79 USD peak back in last December. At time of publishing, the POWR share price was $0.085102 USD as per the CoinMarketCap website. This is a 90% drop in value over the past 12 months. Fewer than 100 building are using the trading system – we still have our fingers crossed for what is undoubtedly game-changing technology. Please note: Saving With Solar are in no way affiliated with Power Ledger and do not have any ‘community advocate’ relationship. Blockchain – Power Ledger in Puerto Rico? 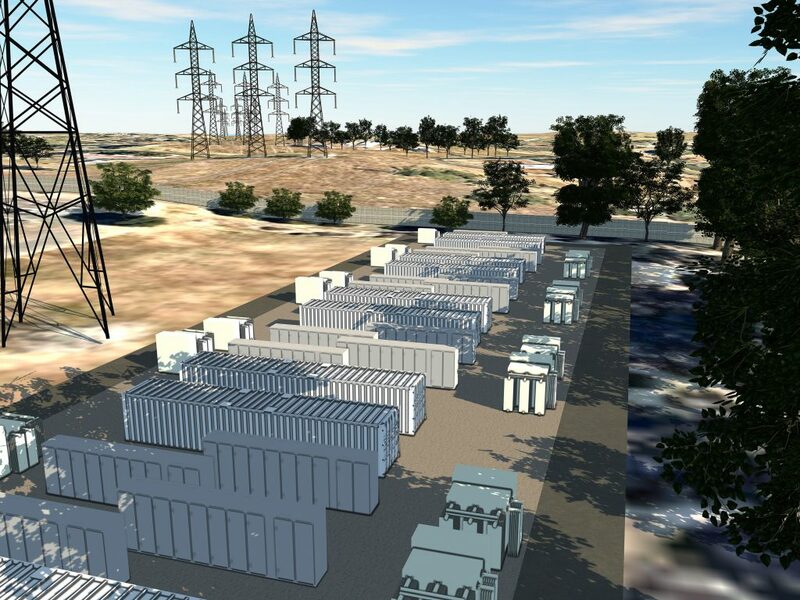 The Ballarat Energy Storage System has been turned on by the Victorian Government today – let’s take a look at this unique battery and see how it will help shape Victoria’s energy future! The Ballarat Energy Storage System has 30MW capacity and can output 30MWh – it’s located at the Ballarat terminal station and is owned by Australian energy company Ausnet. The battery storage units are Fluence branded, and were installed by Spotless and Downer Group. ARENA and the Victorian Government will jointly provide $25 million in funding for both this project and the Gannawarra Energy Storage System (GESS). The project (BESS) is expected to end up costing around $35m. “We said we would deliver these large-scale batteries for Victoria, and that’s exactly what we’ve done,” she said. It can help with congestion on Victoria’s transmission grid (especially as it’s installed at a network terminal rather than a wind or solar farm (which is the norm)). It’ll provide ‘key grid stability services’ like frequency control. The battery will store energy at times of relatively low value. The battery will use stored energy and use it at times of relatively high value. The project will also examine providing other grid services such as frequency control ancillary services (FCAS) and, should it be established under the electricity market rules, a Fast Frequency Response (FFR). It’ll be fascinating to see how this works over the summer – we’ll, of course, also be keeping a close eye on the Tesla batteries at the Hornsdale Power Reserve to see if they’re able to continue delivering massive savings to the SA government. How long until the rest of the states follow suit? 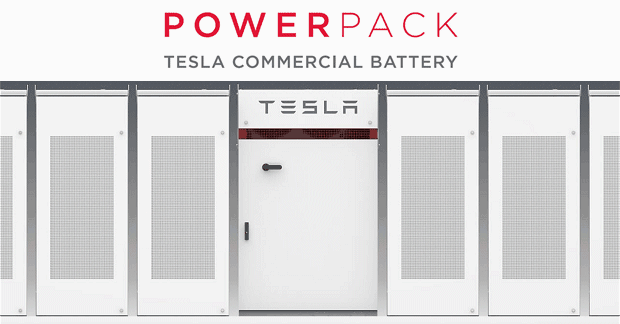 An official announcement by the Government of Western Australia on Wednesday notes that they will partner with Western Power and Synergy to offer a Tesla PowerBank trial via a 105kW (420kWh) Tesla PowerBank battery. PowerBank trial for WA Homes. “PowerBank is an ‘in front of the meter’ storage trial which allows invited local customers to store excess electricity from already installed solar PV systems to then use it during peak times. “This is another Australian milestone for the application of utility-scale batteries for the benefit for customers, drawing on the groundbreaking work by Synergy in its Alkimos Beach energy storage trial. “For the first time in Australia, a utility-scale battery will be integrated into an established suburb’s network, like Meadow Springs, that has a high level of existing solar PV uptake. “At the cost of one dollar a day, customers will have access to 8kWh of battery storage to use any time after 3pm each day. Click here to view the media statement from the WA state government. Tesla Battery in South Australia completed. Kiamal solar project launched, may add 194MW more. The official launch of the Kiamal solar project was held in Victoria on Wednesday. The 265MW (DC) solar plant has plans to double its output by adding another 194MW in the future at some point. The Kiamal solar project is owned and being run by Total Eren (formerly two separate companies), a renewable energy company based in France whose $300m investment in the project has raised the ire of the Australian Energy Market Operator, who have implemented tough new conditioned for those wanting to install wind and solar in Victoria’s ‘full’ grid (click here to read a great article from the AFR about it). 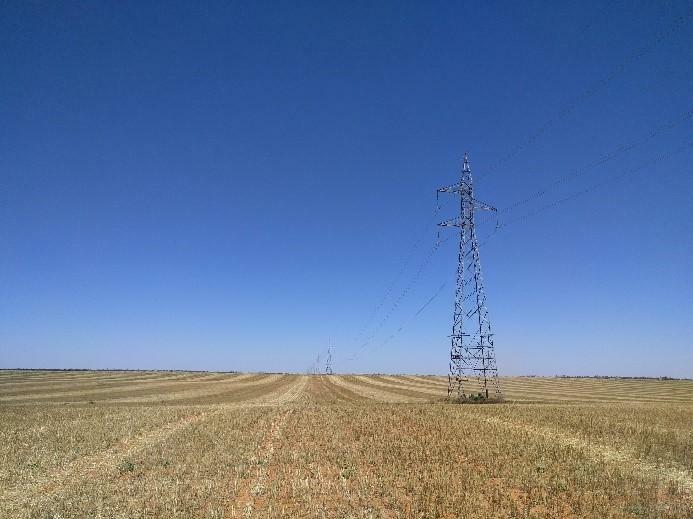 They commented that Total Eren had ‘misjudged’ the system strength requirements and said there could be an issue with adding a farm this size to the noth-west Victorian grid. Luckily the team at Total Eren (or Total-Eren, depending on how French you are) have agreed to add an expensive ‘synchronous condenser’ to help stabilise the grid. AFR report that the cost is estimated to be in the ‘tens of millions of dollars’ so this is certainly quite the olive branch. An official statement from the company noted that the company had acquiesced to AEMO’s requests “…in order to facilitate a timely connection … substantially strengthening the grid in the region and making it possible to connect even more renewables in north-west Victoria”. The team are now looking into adding 380MWh of energy storage and 194MWh of solar in a second or third stage, as per executive vice-president Fabienne Demol. Click here to learn more about the PPA Kiamal solar farm signed with Flow Power earlier this year. They’ve also signed Alinta Energy and Mars Australia after losing Meridian Energy earlier this year due to construction delays. The Kiamal solar farm will be completed by the middle of 2019. Kiamal solar farm signs a PPA with Flow Power.